One day or day one. You decide! Everything depends on you! You are the builder of your life! 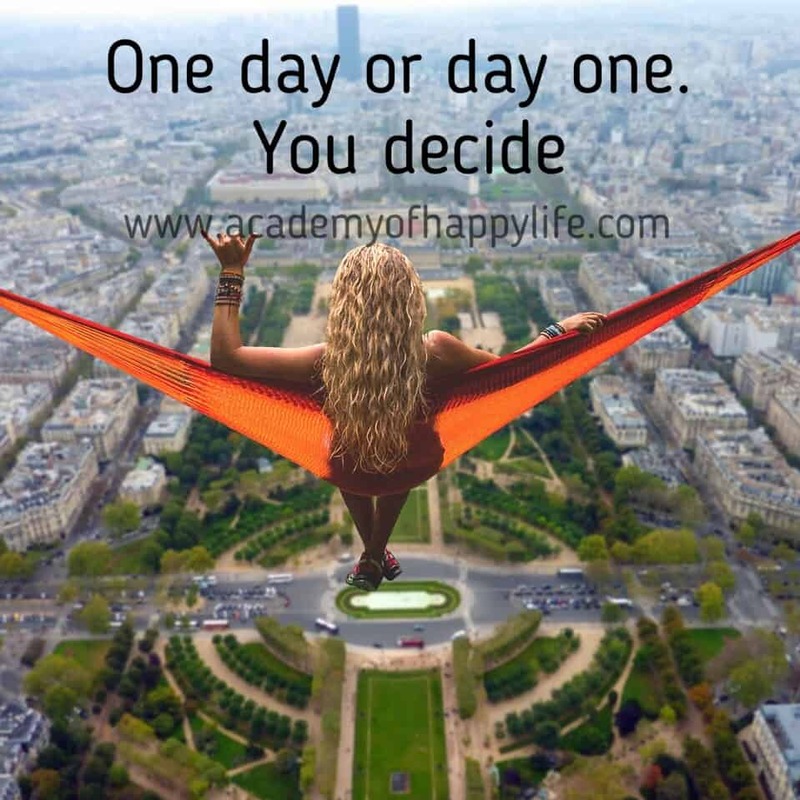 You and just you decide when you start the changes in your life. Have a happy life! ← Failure is the opportunity to begin again more intelligently! Whatever the circumstances in our life we still have the choice to live a happy life. When we realize that happiness comes from within,not becomes easier than be happy even when we are faced with times of trouble. Totally agree with you Lisa! Thank you for your comment.